There is a strong chance that your Nissan Murano’s PCM needs replacement if you’re suffering from subpar engine performance, inferior gas mileage, consistent stalling or inability to start. Lucky for you, we can fix all of that. Solo Automotive Electronics offers lifetime warranties and guarantees on our products & work ensuring a level of service you simply won’t find anywhere else. Why would you go to any other dealership or store when we can save you up to 50% on costs for replacing, repairing, or reflashing your Nissan Murano’s PCM, ECM, or ECU? 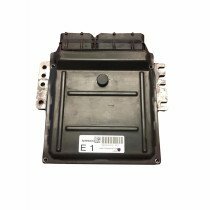 The PCM (Powertrain Control Module) is the brain of the car and if it’s not running efficiently your car will not only operate at a level you don’t deserve, it will create unnecessary issues and repairs for you. Locate the proper PCM for your Murano below. If the correct product isn’t listed just give us a call so we can proceed.